The transport of perishable goods is a special challenge for a transport company. Meat-, seafood-, and fruit shipments to and from China, South America, Australia and North America must swiftly reach their destination. For the transport of perishable goods, TSM uses a range of different Reefer Containers. These are especially important to ensure that the transport chain is maintained during shipment. Reefer Containers ensure a smooth transition from the port of destination to the final destination by truck or train. 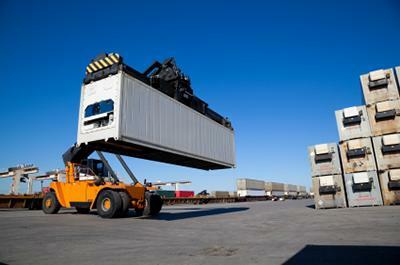 The stable construction of Reefer Containers enables a extremely high utilization of the transport surface as the Containers can be stacked without difficulty.